The modern football (soccer) was created in England in 1863, after the formation of the Football Association. The agency responsible for managing and monitoring the global football competitions is the FIFA. In this way, the most prestigious international tournament is the World Cup, held every four years (which doubles the audience gained by the Olympics Games). At club level, the Champions League and the Libertadores Cup are the more solemn competitions. 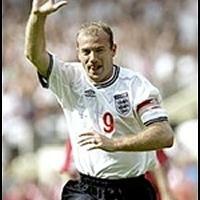 Undoubtedly, be successful as a soccer player is a very difficult challenge, but in United Kingdom have born big stars. This Classora's survey present the most prominent players for United Kingdom. In your opinion, what is the best British player of all time? Go ahead and participate! Who are the Best British Sculptors in History?